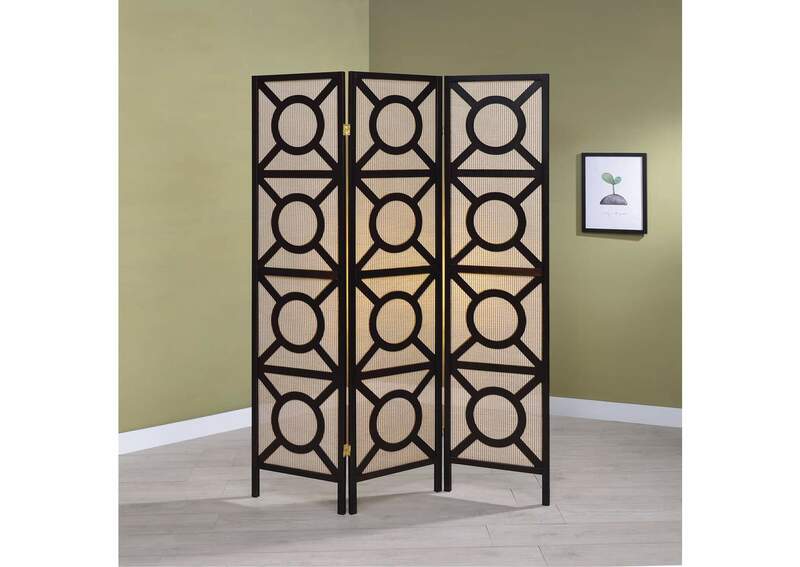 Add some privacy to your space with this three-panel folding screen. Available in a cappuccino finish, this screen features a modern circular pattern. 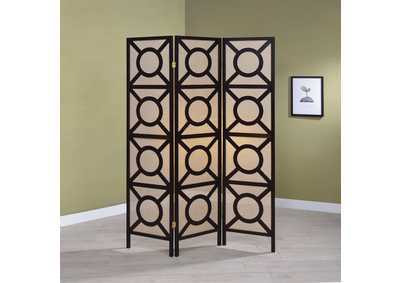 Create a separate space in a room or add some flair with this privacy folding screen.